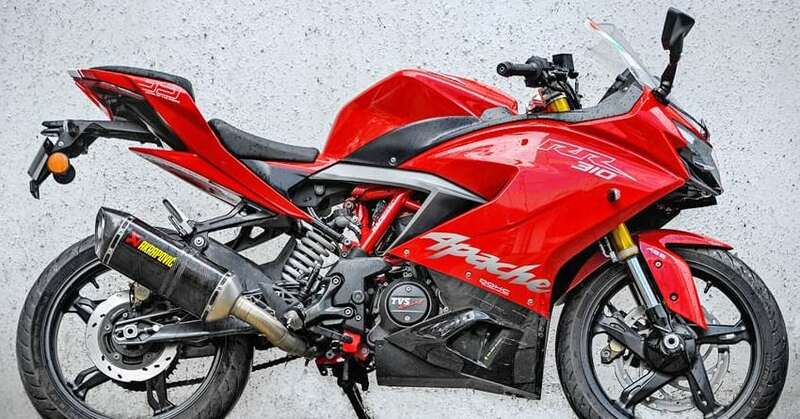 Recently bought a TVS Apache RR310? Here is one good news for all the Apache fans. 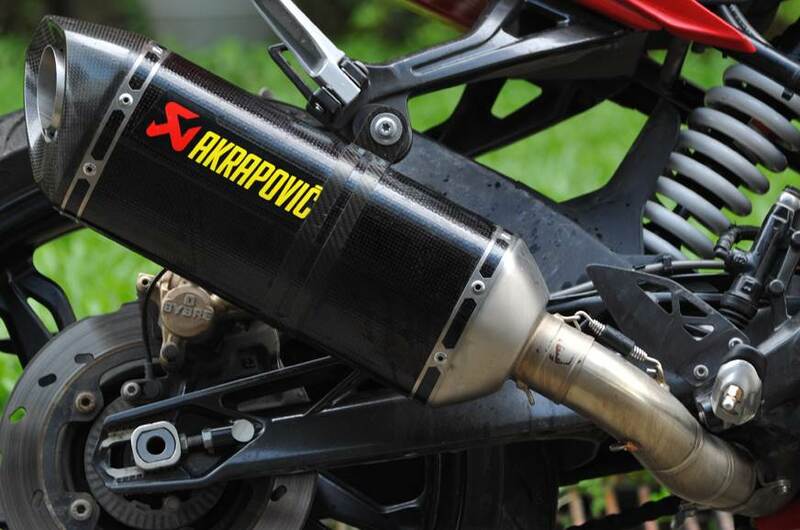 Akrapovic is offering race exhaust system for the racer-friendly machine. The flagship motorcycle from TVS claims 34 HP and 27.3 Nm in stock condition while adding this exhaust takes the peak power and torque to 36.4 HP and 30 Nm. The resulting figures equate to a clean bump of 2.4 HP and 2.7 Nm. 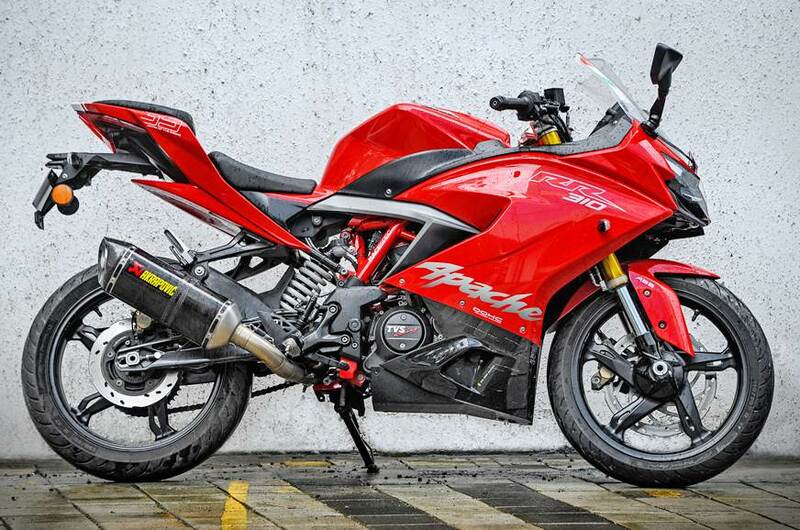 Moreover, you get a reduction of 4.6 kg from the total weight of Apache RR310 through this full exhaust system. The cost, including all taxes, is INR 55,000 while material in use is carbon fiber. Apache RR310 has made a special place for itself in the Indian track racing community. The motorcycle brings impressive levels of power in real-world riding range, enabling riders to continue both types of riding styles through a single motorcycle. For track specific purposes, one can remove all non-essential parts of the Apache RR310 to lose some weight. Still, getting more horsepower will require you to add more performance focused parts into the motorcycle. The TVS RR Cup bike was good for 38HP, all thanks to the free flow exhaust and ECU remapping. Akrapovic has not released the value for this exhaust with a remapped ECU. 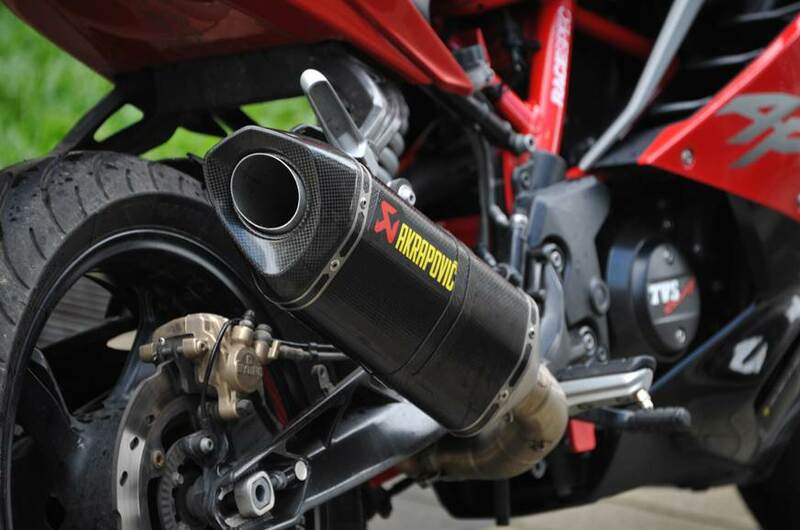 The same Akrapovic exhaust is available for both BMW G310R and G310GS internationally. As three of them share engine parts, it was obvious for the brand to bring this lightweight system for Apache RR 310. However, the price may be huge for most riders as it costs around one-fifth of the motorcycle’s own price. Performance Racing Store in Mumbai can help you get your bike fixed with this exciting exhaust. 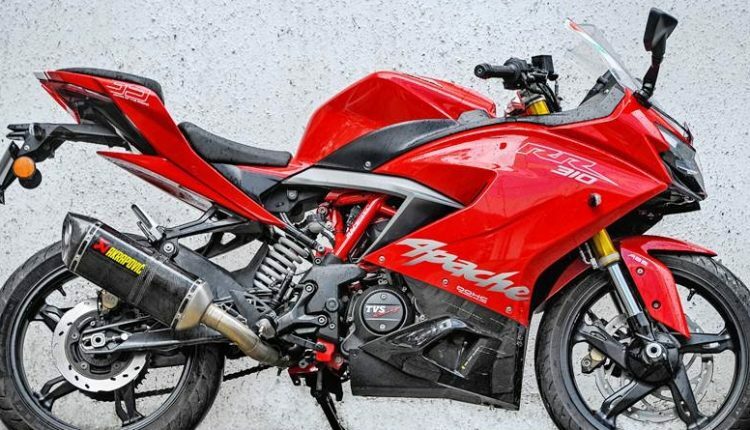 Apache RR 310 costs INR 2.23 lakh in most cities. Some exceptions have a price tag of INR 2.13 lakh while the bike is available for INR 1.99 lakh in Kerela.